I've partnered with Daffadoot for this post to share some must-have baby gear with all you parents out there! Plus, they've offered a discount code for my readers so you can save some money while stocking up on all your kiddo's necessities! Car Seat Protector | We have three car seats in the car and when we're finally out of that stage, I want to know our seats are protected from any mess my kids bring in the car! 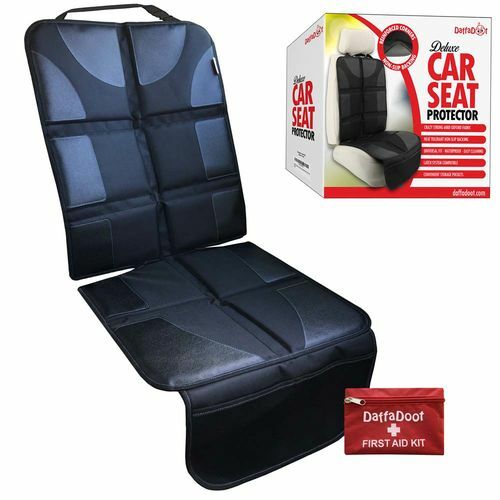 The Daffadoot car seat protector features a universal fit and non-slip backing for maximum safety. It's even waterproof and heat resistant so it will stand up to all your summertime travels. One feature I really like is the extra storage pocket in front so any little toys, wipes, or clutter can be tucked away. Car Mirror | Want to see what your kids are up to during those long summer road trips? A car mirror is a must. 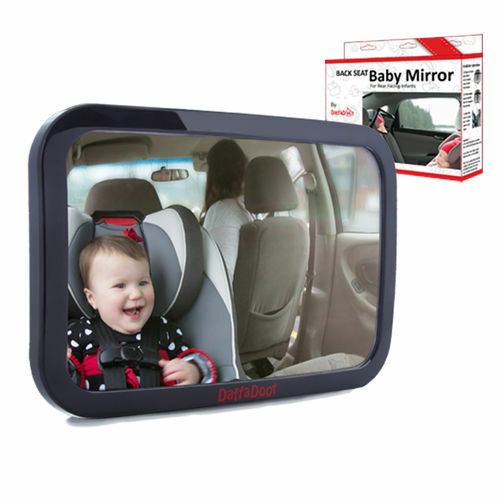 The Daffadoot Car Mirror can be mounted on any adjustable headrest with two adjustable straps to keep it securely in place. The ball joint allows the mirror to be tilted and angled to just the right position. These car mirrors are made with shatterproof glass and free of cadmium and PAH are toxins commonly found in plastics. Crib Wedge | My favorite pick from the Daffadoot line is their Crib Wedge. I remember when my four year old would get sick with a cold and we tried to make her as comfortable as possible in her crib without adding any sort of padding to her sleeping area. I wish we had this wedge! 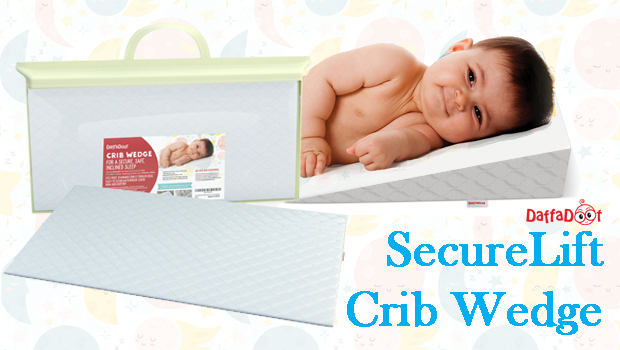 The Daffadoot Crib Wedge gets placed underneath your crib/toddler bed mattress and provides a 12 degree incline. The non-skid bottom insures it won't move while its waterproof cover protects against any moisture. This wedge is ideal if your little one has reflux or a cold. My readers can save 20% on these Daffadoot baby products with code HWBLFYLE. Shop below!